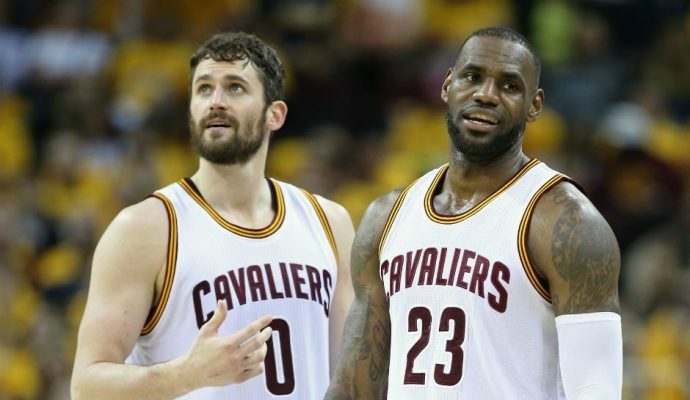 The Cleveland Cavaliers have already undergone quite a lot of change this offseason. Not only did they sign a slew of free agents, including former NBA MVP Derrick Rose, but the Cavs also traded away All-Star point guard Kyrie Irving in return for Isaiah Thomas, Jae Crowder, Ante Zizic, and multiple draft picks. As the season quickly approaches, it seems that even more changes are on the horizon after cleveland.com’s Joe Vardon reported that head coach Tyronn Lue is looking to implement big changes to the Cavs offense for the 2017-18 season. In recent years, the Cavs have been highly reliant on brilliant isolation plays from Irving and LeBron James. This year’s offense, however, will focus more on structure and ball movement. With Irving gone and Thomas still recovering from a hip injury he sustained last season, changes on the offense were somewhat inevitable. Still, it appears Lue is trying to take advantage of the roster shake-up and create a team that can produce offensively regardless of who is on the court.